New adhesive technology. 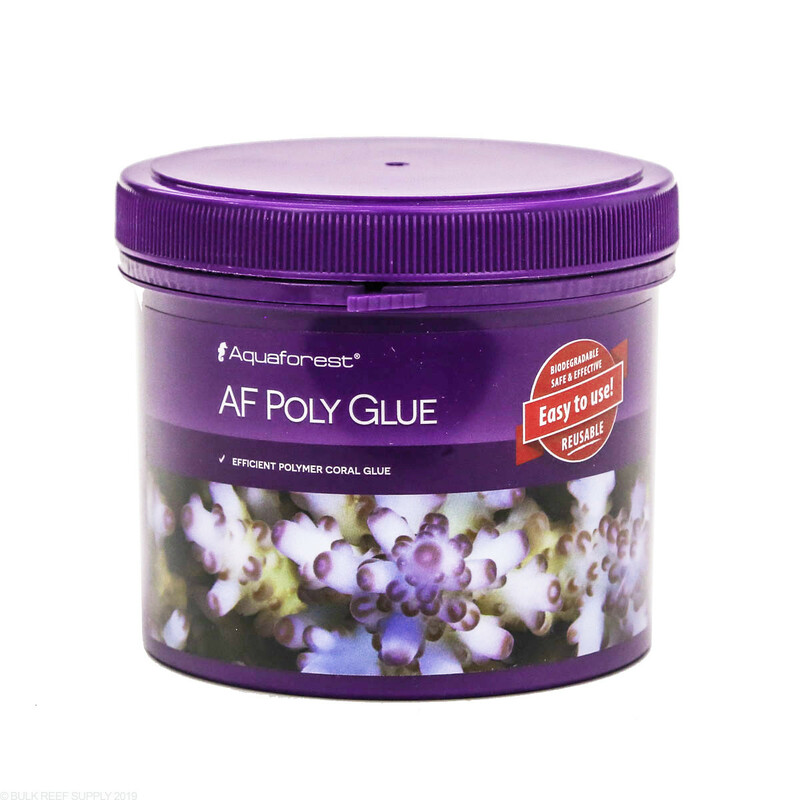 AF Poly Glue is easy to use polymer-based glue that can be reused and only requires warm water to use, and won't leave you feeling rushed to finish. 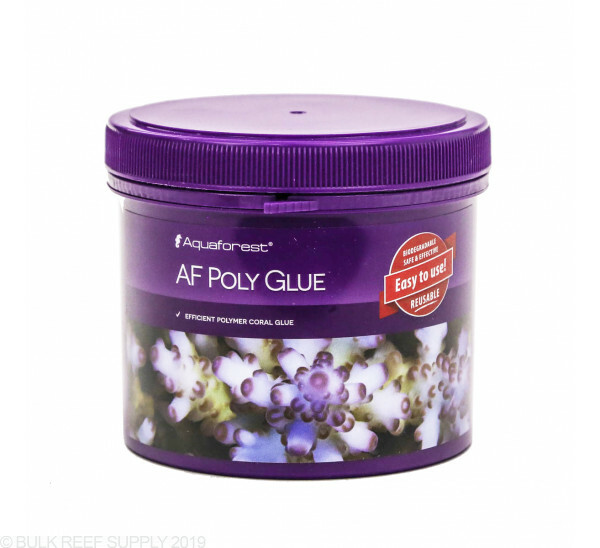 AF Poly Glue will change how you frag corals and aquascape your tank. The small glue granules only need hot water to be activated, and they then will create a mass of transparent adhesive that is super sticky to corals and rocks, but not your fingers. If you have a large aquascape to work on or a mother colony to frag, you can make a large batch of adhesive and pull off small portions as you need. If the adhesive starts to get too stiff, just put it back into the hot water to loosen it back up. The best part about the glue is the fact that if you made too much, you can put the excess back into the container and just use it at a later time. Once the Poly Glue is placed into the aquarium, the water will start to cool the glue. The glue solidifies underwater at the perfect pace that lets you set your frag or rock and mold the adhesive around the edges, while slowly becoming stiff enough to support frags from falling over. In a cup or small bowl place hot water (140ºF+) and place a portion of the AF Poly Glue into the water and let it sit for a couple of minutes. The granules will turn from an opaque white to a translucent mixture as it heats up. Pull an appropriate amount of warm AF Poly Glue out of the hot water and work it around your frag or rock as you desire (like 2 part epoxy putty). 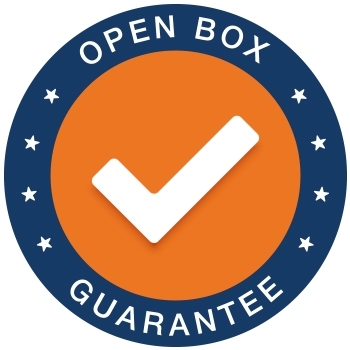 Excess glue can be placed back into the container, to be reused at any time. AF Poly Glue does not absorb water; it uses the heat of the water to "melt" the polymer into a cohesive adhesive mass. Tip: The viscosity of the glue can be changed slightly by using hotter or colder water to soften the adhesive. The colder the water, the stiffer the glue will be and with warmer water, it will be much looser.